QC’s Festival and Live Events Workshop will teach you how to use your existing corporate event planning skills to succeed in the live events industry. You’ll study topics including concert promotion, show production, sports entertainment production, festival planning, and much more. 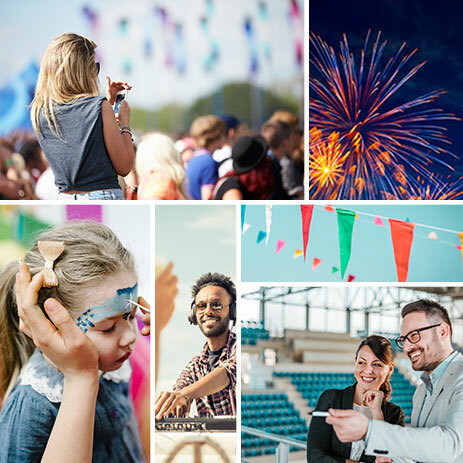 Discover the logistics of public events and learn how to manage both small- and large-scale festivals and entertainment events. Note: This advanced specialization course assumes a degree of knowledge in the corporate event planning industry. Students should have previous training in corporate event planning, or relevant work experience before enrolling in this course. 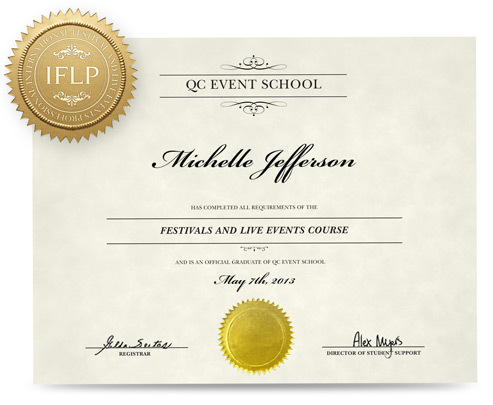 Graduate from your Festivals and Live Events Planning course and receive the designation of International Festivals and Live Events Planning Professional (IFLP). You’ll be able to use the initials IFLP after your name in all professional contexts. Your certification improves your credibility as an event planner, and gives you a competitive edge over other professionals in your area. 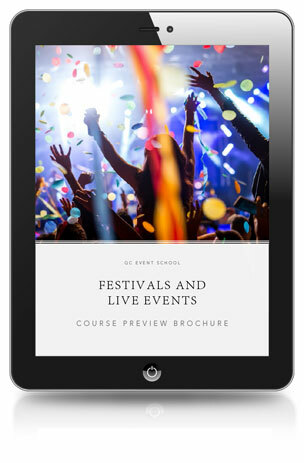 QC provides you with everything you need to complete the Festivals and Live Events workshop, including lesson texts, course guides, and video tutorials. You’ll gain lifetime access to QC’s Online Student Center where you can find electronic copies of your course materials, submit assignments, chat with peers, and review your unit evaluations from your tutor. Download a Course Preview to get an inside look at the Corporate Event Planning course. Enroll in QC’s Festivals and Live Events workshop to learn the ins-and-outs of this thriving industry. Bring your career to the next level with the ability to plan and execute various types of large-scale live events! You’ll receive personalized feedback from your tutor, who is an established industry professional, and have support from QC’s Student Support Specialists before, during, and after your course.